In the past months, I've accumulated quite a number of skin and hair care products from different sources such as Saladbox, BDJ box and most especially from generous giveaways. Don't get me wrong, I'm far from complaining, I'm just so ecstatic to have a line up of products to try and review. Though I want to try all of them, I also like to share certain stuff with my girl friends to find out what they think of them. So I asked my friends who share my passion for beauty to pick out products from my stash that they want to try. Actually, it only took a single application of the L'oreal lucent magique skin illuminating BB cream for Rochelle to decide that she loves it! Before I tell you what she thinks, I want to emphasize that Rochelle has fair skin, combination oily type and she's pimple free most of the time. So far, this is the only BB cream she tried that's the easiest to apply. Ease of application might be because of its runny consistency. It leaves your skin looking a shade or two fairer than your natural complexion but it gradually blends well with your skin tone after a few minutes without leaving a white or gray cast. It offers decent coverage over minor skin imperfections like pimple scars. This BB cream leaves your skin moisturized without looking greasy. You may use this alone or top it with powder. It offers protection against both UVA and UVB rays hence preventing sun burn and skin aging. It only comes in one shade but it promises to even out any skin tone. If this doesn't match your skin color, you may top it with a powder foundation that matches your skin tone. 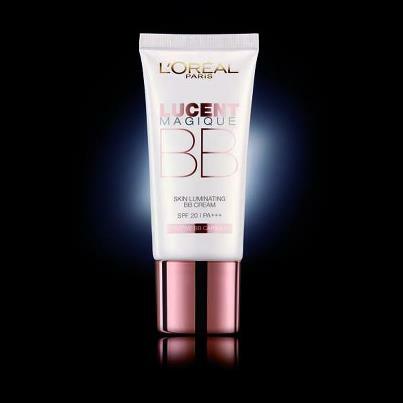 This BB cream offers sheer coverage over minor blemishes. Darker spots or imperfections might still be visible but you can use this with concealer or powder foundation to achieve fuller coverage. It only offers SPF 20 which is a little short of the minimum recommended SPF of 30 so you might need to use a primer or finishing powder with higher SPF. Needless to say that Rochelle is impressed with the L'oreal lucent magique skin illuminating BB cream and will buy the full size soon after consuming her current BB cream. She highly recommends it to anyone in need of light coverage especially those who are still new to BB creams and are not yet used to applying one. The L'oreal lucent magique skin illuminating BB cream is now available nationwide and retails for PhP 695.00 but is currently sold at 25% off until December at all L'oreal counters. Now that's a great value for your money!